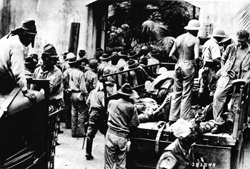 Surrender of American troops at Corregidor, Philippine Islands, May 1942. NARA photo. 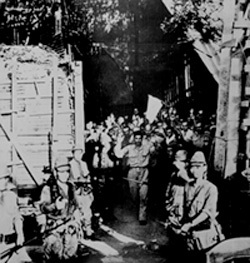 Japanese begin to move American and Filipino POWs from Corregidor in May of 1942. NARA photo.